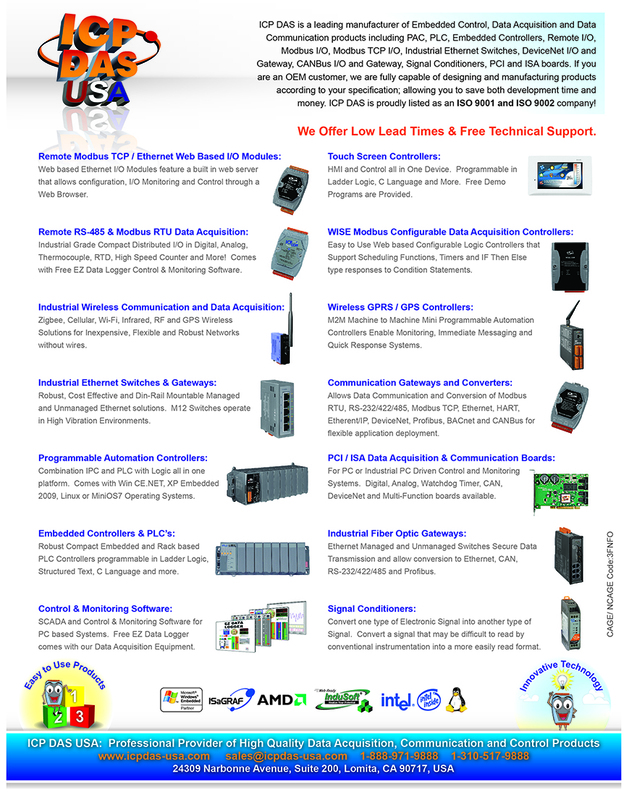 ICP DAS USA offers the latest Din-Rail mount and panel mount switching power supplies! The ICP DAS USA power supplies are available in a variety of configurations, and ideal for almost any industrial control or data acquisition application! 24V/1.0A 25W Power Supply - Options with a Direct Bracket, an L Bracket, or without a Bracket available. 24V/2.2A 50W Power Supply - Options with a Direct Bracket, an L Bracket, or without a Bracket available. 24V/4.5A 100W Power Supply - Options with a Direct Bracket, an L Bracket, or without a Bracket available. 24V / 2A 48W Power supply with Panel Mount. 24V / 2A 48W Power Supply with Din Rail Mount.